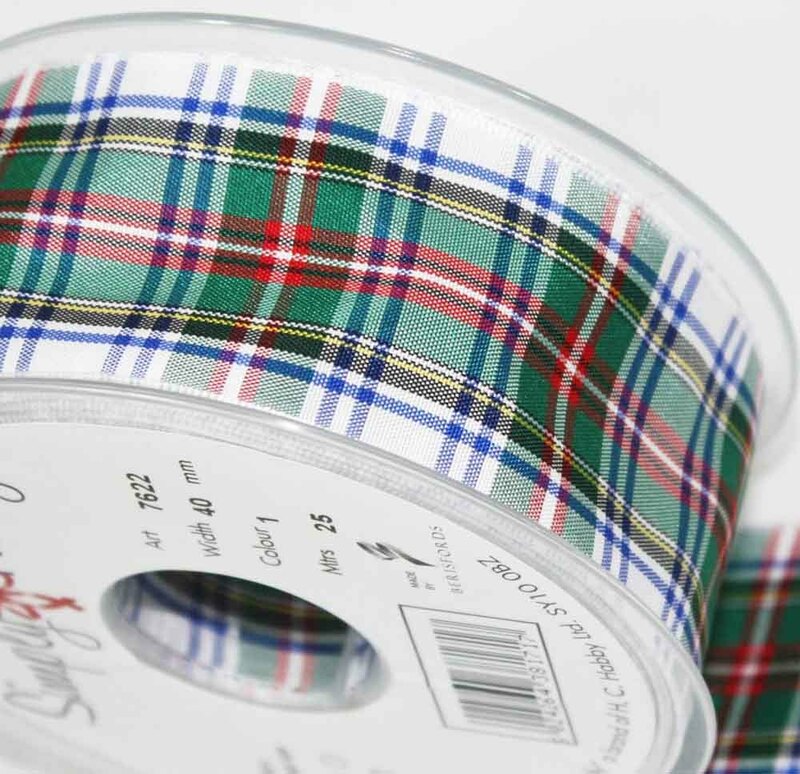 We have pooled all our Tartan Design Ribbons together in to this section, all the Clan Tartans that we feature here are manufactured by Berisfords Ribbons and are woven in the UK. These designs are all approved by the Scottish Tartan Authority so you have peace of mind knowing that if the design states that it is Royal Stewart then you know it has been woven to the correct pattern. You will also find some fashion tartan style designs in this section, these are just striaght forward ribbon patterns woven in a tartan style rather then a traditional Clan Tartan. If you have any problems or need any further information then please feel free to contact us at any time on 01691 780416.